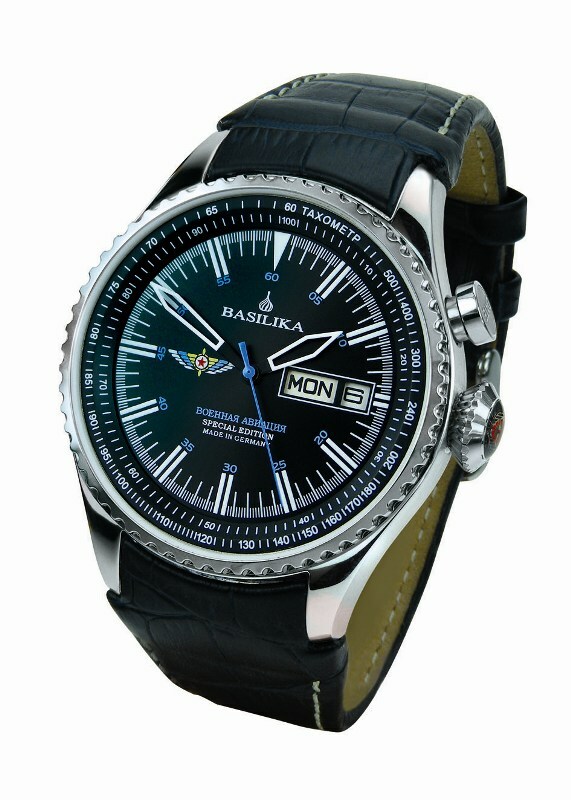 BASILIKA Pioneer Automatic: The model Pioneer with a date pusher at the right side is looking just sportive as decorative. The engraved case back and the leather strap are still strengthening its military look. Thanks to the clear dial and the big luminous hands the liability of time is very good. BASILIKA Red October Two Automatic: The dial with its wave pattern is framed by a varying coloured bezel. The little anchors at the dial and winding crown are underlining its use as diving watch. The watch has an engraved steel case back and is water tight up to 100m. BASILIKA Pilot Automatic: As usual for pilots watches thus model has a tachometer scale for speed measuring, but he highlight are the skeleton-like hands with rim of strong white luminous colour. A watch of a quite smart look. Basilika watches are made in Germany and exclusively available at RED ARMY WATCHES boutiques, Pavilion KL, 1 Utama and Tropicana City Mall.